If you’re a Nutella fan, prepare to get excited! 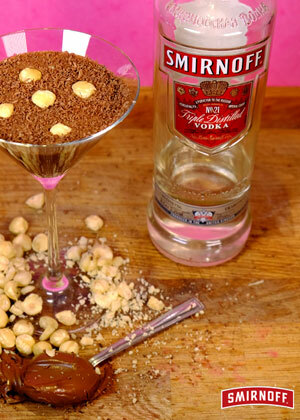 Introducing the hazelnut treat in cocktail form with Smirnoff. Is it cocktail o’clock yet? Pop all the ingredients into a blender and mix until smooth. Pour into a glass and garnish with gratings of chocolate. If you fancy, use hazelnut to garnish.